SIG Design and Technology used their know how and professional expertise to secure the government’s Condition Improvement Fund – CIF funding for roof repairs to a 1740m2 project at St John’s School, Bishop Auckland. The school had previously been successful in accessing a lottery grant to refurbish their internal sports facilities but a CIF funding bid in 2015/16 had been turned down. The school had learned how SIG was successful in developing CIF Funding applications and so D&T’s national specification manager for bituminous membranes, Ian Dryden was called in to undertake a full roof survey will would provide the major justification for the much sought-after 2016/17 funding. The roof deck to the 900m2 Gym Hall & Changing Rooms was deemed fragile and to contain asbestos. Dufell who are licensed handlers of asbestos removed the deck using the correct H & S methods. 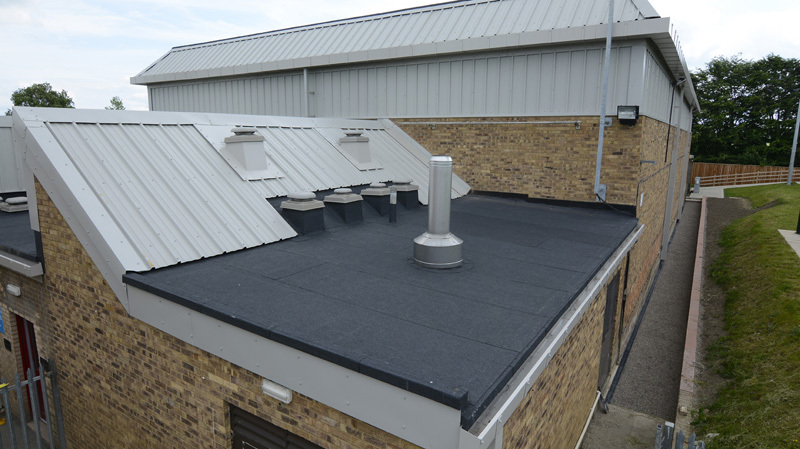 The roof was then completely refurbished with the SIGnature bituminous torch-on system comprising vapour control layer (VCL), Cut-To-Falls insulation together with SIGnature 25 underlay and cap sheet which were installed over a new timber deck. The swimming pool was stripped of its original concrete tiles and an aluminium structural deck installed to receive the 390m2 Armourplan PSG system with standing seam, chosen as this robust single ply offers a highly attractive, aesthetic finish. Careful thought needed to be given to the method of attaching the membrane to guard against potential wind uplift factors. The structural deck couldn’t be penetrated as it was essential to prevent chlorine and humidity contaminating the system. SIG D&T developed a project-specific detail to provide mechanical restraint and avoid the need to penetrate the structural deck. 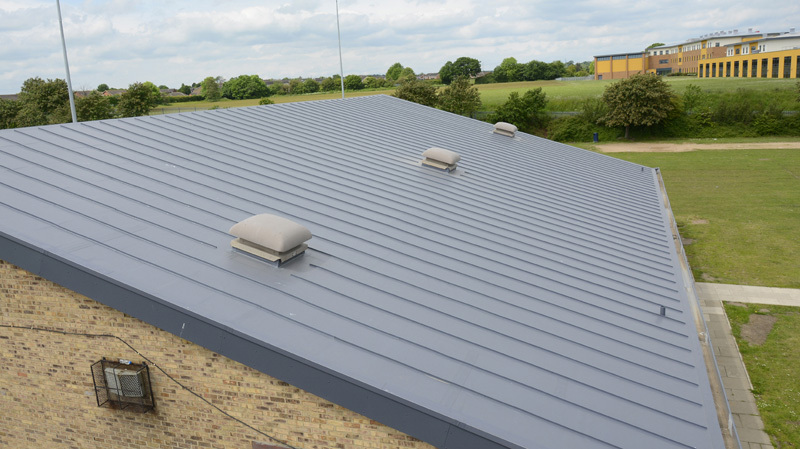 Steadman’s composite panels (450 m2) were used as cladding in a variety of locations on the roof and careful detailing was required where they interfaced with the built up roofing and single ply systems. “Both phases of the refurbishment were carried out while the school was in session and site safety was paramount. We installed temporary fencing to safeguard specific areas during phases one and two. The project carries the SIG 25 warranty for bituminous areas and 15 years for Armourplan on both materials and labour. “SIG Design & Technology’s thorough approach from site survey to specification was highly supportive of St John’s successful bid for CIF funding.